There is nothing I like more than hearty meals that are easy to make and taste great. This is one of those recipes. Let me also add I do NOT like mushrooms. Or more I do not like to eat a mushroom. They actually have a great flavor, I just cannot get myself to bite into one no matter how hard I try. 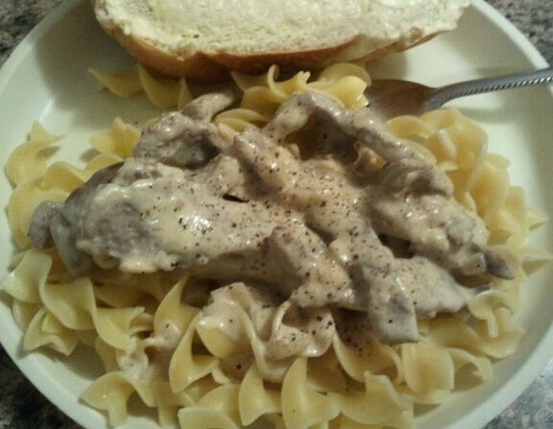 So an added benefit of this recipe are the mushrooms were big enough for me to push aside and just enjoy the rest while still getting all the flavor. 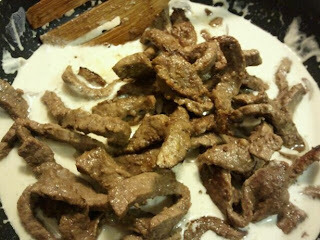 Cook steak in skillet 5-8 minutes until done. Use a small amount of oil if your meat is lean. Remove from pan and drain. Melt butter in the skillet. 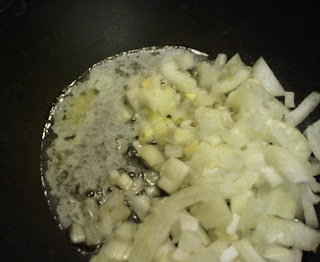 Add onions and cook on medium heat 5 to 6 min. or until done. 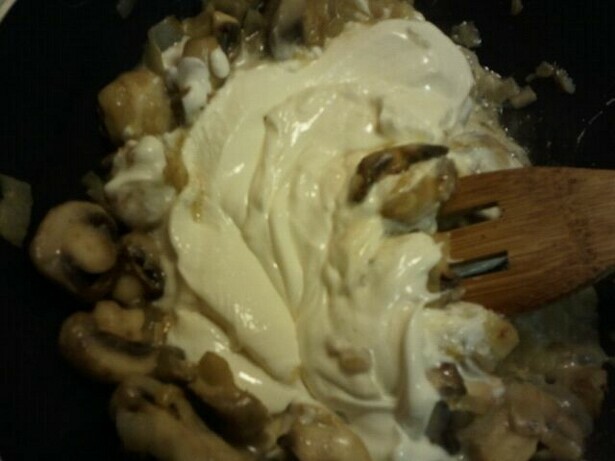 Add mushrooms and cook 5 to 6 min. or until mushrooms are tender. (I guess my dislike of mushrooms caused me to not take a picture of this step.) They will turn from a light blonde color to a darker beige when they are ready. Add cooking creme; cook and stir 2 min. Stir in broth. 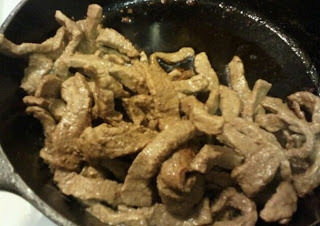 Return meat to skillet. Add pepper. Cook 5 min. Remove from heat; let stand 5 min. Serve over hot noodles. Add more cracked pepper if desired.